"I knew Adam was the one when we had only been dating for a few months, and I had a minor surgery I had to undergo, which was scheduled on a day before 6 a.m. He had been working into the a.m. hours the night before, but he insisted on going with me; he sat with me and held my hand the whole time I was waiting for it to begin, which was a while because my doctor had an emergency and was late; he even assisted me in using the restroom when I needed help, and he waited there the whole time, drove me home, and took care of me the rest of the day. I knew after that he was the one!" Keep scrolling to read more about Robyn and Adam's love story! How did you know Robyn was the one for you? "[I knew] when she was willing to look past my faults and accept me for who I am." What do you two like to do when you have free time? "It's rare we have free time together due to our opposite schedules, but when we get it, we are either watching the latest Netflix series craze, spending time with friends or family, or out eating somewhere." "Relaxing and planning for our future." "Adam makes me a better person because he always has a positive outlook on life, and he pushes me to think positively during tough situations, which I definitely struggle with." 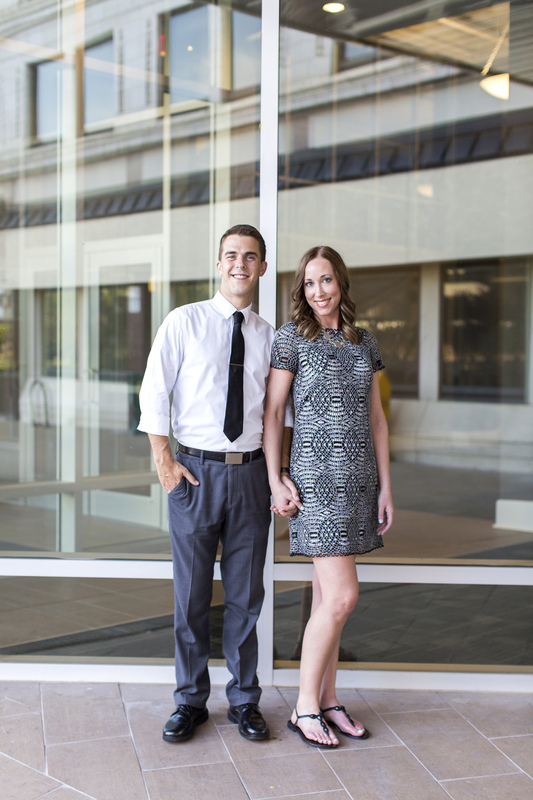 I absolutely loved getting to know Robyn and Adam during their engagement session! These two are high achievers, fun, easy to talk to, and joyful! Right now, Robyn and Adam are planning for their future wedding, spending time with their adorable nephews, and house hunting! A few weeks ago, I met two wonderful and beautiful people. I cannot wait to photograph their wedding next summer!